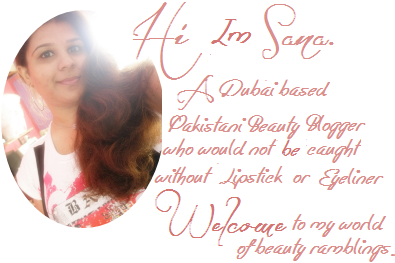 " Luscious Cosmetics is a beauty brand offering luxury quality products with innovative formulas and glamorous packaging. Our products are formulated especially for South Asian skin tones while following global fashion trends and cutting-edge technology. Since its launch in May 2008 Luscious Cosmetics has gained a cult following among celebrities and makeup addicts alike. Luscious has become synonymous with luxurious textures, glamorous colors, remarkable product innovations, and lots of shimmer. Our mantra: Celebrate Your Beauty!" "Our delicious best sellers is back with a brand new look ! We've surprized your favourite lip plumping shades and added five dazzling new ones! With hydrating benefits of sweet almond oil and vitamins , our non-sticky formula will drench your lips in luxurious , high voltage shine . Natural mint extracts make your lips tingle and enhance them to create a fuller , plumper pout . Luscious plumping gloss available in 10 dazzling colors with yummy names , Click Here to check the colors out . I have to admit that I just love it and Im so in love with this product along with their other products . They are super gorgeous plumping gloss with hydrating agents and beneficial vitamins and other ingredients which will give you a super luxurious ,super shiny and pouty fuller look . It has a slightly tingly effect when you applied it like all other plumper gloss and a scent of fresh mint give a slightly refresh feel may be some of you will not like it if you are not minty scent lover ,but it didn't bother me as I like the refreshing smell of mint and that tingly sensation which most of plumpers has . It leaves your lips fuller , pouty and super shiny with high voltage . It has a good staying power , they stayed there on my lips for about good 2-3 hours and after that it left a tint on my lips with a slight hint of shimmer which looked pretty good as they have alot of shimmer in their plumping gloss but its not over loaded and doesn't look too odd or too much bling bling on lips . It comes in a decent sized 18 ml clear tube with a silver cap and packaging is sleek black box , I quite liked it alot . The shade I have got is ' Cranberry Breezer' which is a really pretty berry pink shade with shimmer and I totally agree with a description that it gives high voltage shine and mint extract gives a tingling effect and help them to create a fuller and pouty look . That looked quite natural on my lips and given me a natural shine with a hint of shimmer a slant applicator makes application easy and gives a proper hold on product and tube . I have to admit it is an amazing color and one can wear it daily either alone or can pair it up with favorite lipstick underneath which will give an amazing color pay out and result . Its quite long lasting so can wear it alone as well for a natural look with a hint of shimmer on your lips and you can refresh it again after 2-3 hours . The best thing which I like about it is the price tag , its of 395 PKR which is quite reasonable I guess as this tube may lasts upto for months depends on your usage . I've got mine from ISM for 325 PKR . You can get it from any good cosmetics store nation wide or can get it from their website Here . They ship worldwide . You can check their latest updates on Facebook and Twitter . What shade do you have ? And how you find it ? 7 comments on "Review & Swatches [Luscious Plumping Lip Gloss]"
WOW!! Thats a gorgeous shade!! thanks for sharing!! Great review, I really like this color!